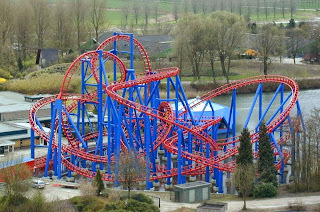 Now, if I were to ask you how many Rock 'n' Roller Coasters there were in the world, what would you say? Most people would probably say two. Let's count them: One in Hollywood Studios in Walt Disney World, one in Disney Studios in Paris, and one in the Netherlands. But what's awesome about this Xpress is that it's built completely outdoors. I'm not saying that's better than Rock 'n' Roller Coaster, because it's not. 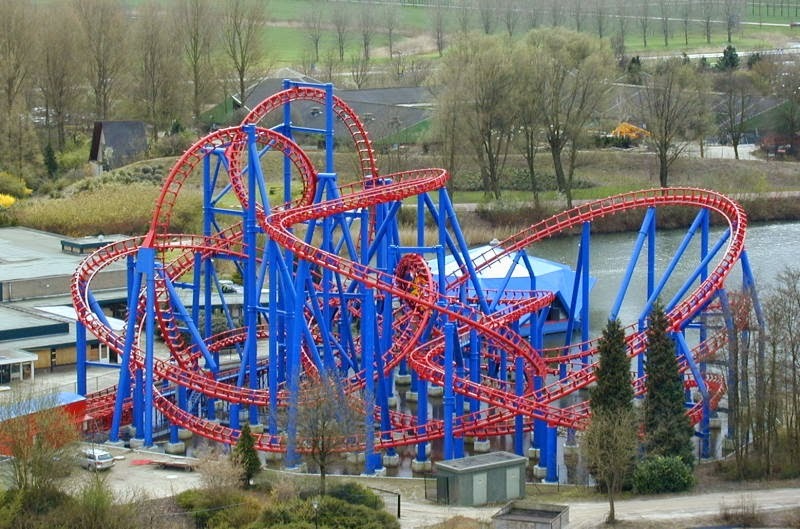 But what I like about it, is now I can watch the video on YouTube and get a pretty good idea of what's going on with the track when I am riding Rock 'n' Roller coaster. 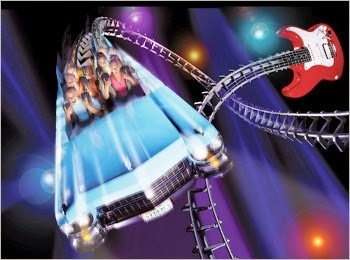 And that's pretty much what's going on on Rock 'n' Roller Coaster. 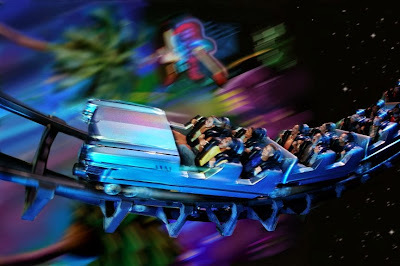 I must say, it's not nearly as exciting being outside and no Aerosmith blasting in your ears, but it is fun to see what a Disney ride is like out of its element.